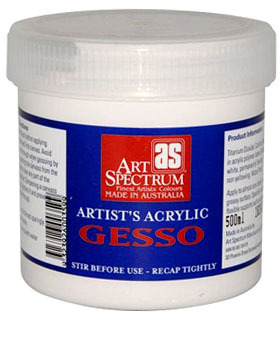 Art Spectrum Artists’ Acrylic Gesso has been carefully formulated by professional paint chemists to provide a permanent ground for oil and acrylic painting. 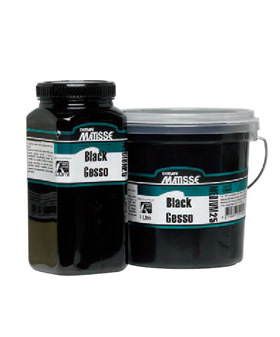 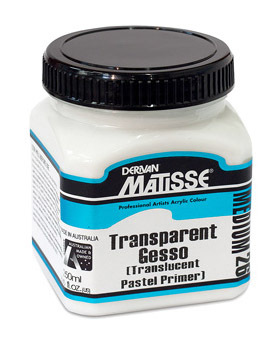 Artists’ Gesso will dry to a brilliant white in a few hours, providing an absorbent, permanently flexible, waterproof, non-yellowing ground. 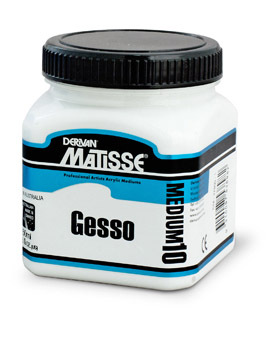 It is suitable for use on most clean, non-greasy surfaces including canvas, timber, masonry, boards, masonite, and appropriate papers.